Four people were killed in the crash. The four victims of a weekend plane crash in suburban New York City have been identified as a Manhattan family and a teenage family friend. Authorities say 53-year-old pilot Keith Weiner, his 51-year-old life Lisa and their 14-year-old daughter Isabel were killed in the Saturday crash near Westchester County Airport. Also killed was Isabel's friend, 14-year-old Lucy Walsh. Relatives and aviation officials said the group had just taken off for a day trip to Montauk, at the eastern tip of Long Island, when the plane went down. The pilot's father, William Weiner, tells reporters that his son was a meticulous flyer and that something must have gone horribly wrong with the aircraft. The Cessna 210 took off from the airport shortly after 1 p.m., bound for Montauk, about 100 miles east, Federal Aviation Administration spokeswoman Holly Baker said. Soon after, the plane's pilot radioed to advise he was returning to the airport. But, Baker said, the plane plummeted to the ground in Armonk before reaching the runway and exploded into flames. The plane was based at Panorama Flight Service, in White Plains, airport spokesman Steve Ferguson said in a statement. The company markets flight training, rentals and maintenance service at the airport. It served basically as a garage for the plane when it wasn't flying, company president Gene Condreras said by telephone. He said the pilot "was a longtime customer," but he declined to identify him. The six-seat, single-engine aircraft was registered to Wein-Air Aviation Ltd., of Wilmington, Del., according to the FAA website. There was no phone number listed for the company. 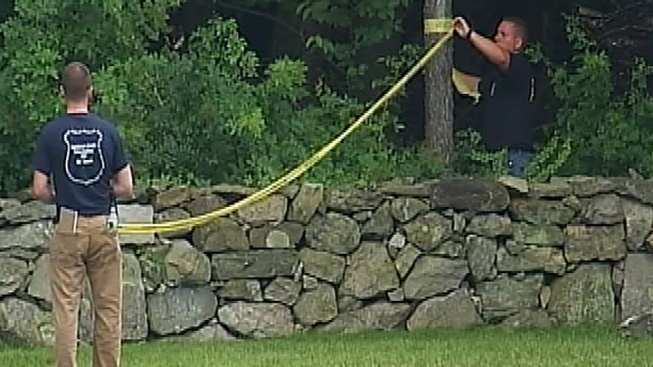 The plane went down in the woods about 1,000 feet from an office building belonging to an insurance company, Armonk fire Chief Luci Labriola-Cuffe said. The plane was in a "couple pieces" and was on fire when crews from local fire departments arrived, she said. "It was a fire that was pretty intense initially because of the jet fuel," she said. The plane crashed on New York City-owned watershed land, which was unaffected by the crash, said Farrell Sklerov, a spokesman for the city's Department of Environmental Conservation. DEP's police responded to the crash, he said. The FAA said that the National Transportation Safety Board was sending investigators to look into the crash.